The Live Room is the heart of Shock City Studios. With a footprint of 1,100 square feet and impressive 20’ high ceiling, this versatile and attractive space is the largest live room in the region. Its acoustic characteristics are highly customizable, including double-sided reversible sound baffles and large movable rugs. Its generous layout is especially well suited to large orchestras, choirs and bands, while warm colors and natural light make it a friendly and intimate setting for smaller groups. 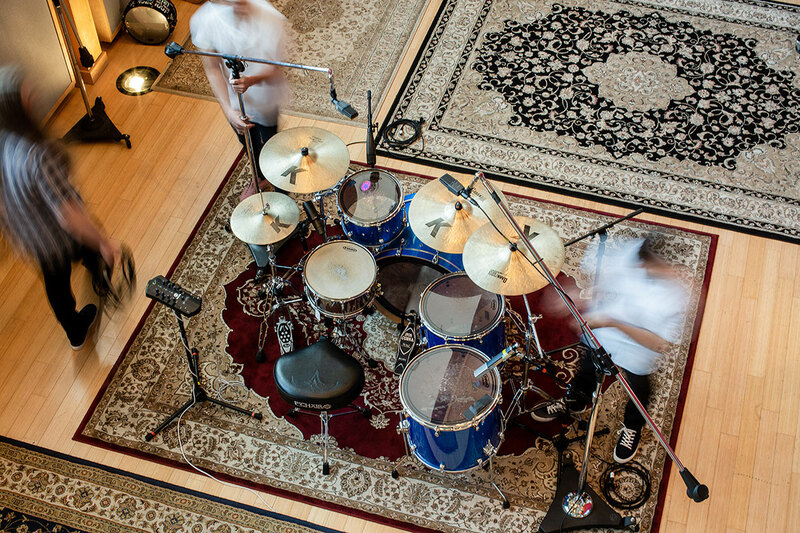 Shock City has often been told “it has a great vibe” and “it’s the best drum room in St. Louis.” They take great pride in recording fantastic performances in this beautiful space and love to show it to visitors.